This Pumpkin Juice recipe is a copycat of the drink you find at Universal Studios Wizarding World of Harry Potter. We start brewing it at our house this time of year and again on July 31st, which is Harry’s birthday, of course! Not that you need an excuse to enjoy pumpkin juice or Harry Potter. But, this specialty drink perfectly complements so many dishes and is quite the conversation starter at a party. It’s a staple item for any Harry Potter themed party including birthdays and Halloween! We serve ours alongside 3 Ingredient Harry Potter Golden Snitch Truffles! Ask someone if they’ve ever tried pumpkin juice and you’ve opened the door to discussions about Harry Potter, favorite books, Orlando and which house you would be in at Hogwarts…just try it! This specialty punch is the perfect blend of apple cider, pear nectar, pumpkin puree and spices. I’ve seen many variations around the internet. 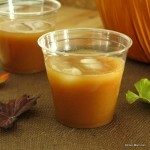 But, this version is inspired by the pumpkin juice recipe at Party Through the Parks. It’s simple to prepare. Just add all of the ingredients to a blender and combine. It calls for pear nectar which can be found at most grocery stores. But, it’s also tasty using apricot nectar or peach nectar in place of the pear variety. 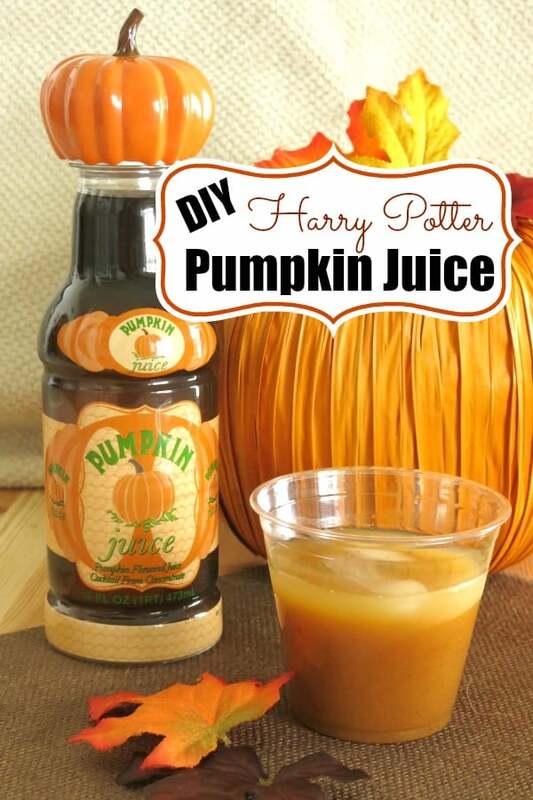 Be sure to pin this recipe so you won’t need to head to the WWOHP to get a pumpkin juice fix! Please rate this recipe and tag @DinnerMom or #DinnerMom on social media. We love to see what you are cooking up. This easy pumpkin juice recipe is a staple of any Harry Potter themed party and the perfect punch for your fall gathering! Blend all of the ingredients in a blender and serve cold. If you don't want to buy apple pie spice, make your own blend by combining 1 Tablespoon cinnamon, 3/4 teaspoon allspice, 1/2 teaspoon ground nutmeg and 1/2 teaspoon ground ginger. Ha! Who knew it was so easy to drink like Potter? And to think we use to drive over to Universal Studios to get our fix. Luckily it’s not that far away! What a great fall beverage! I can see this being quite popular at a Halloween party. It’s a fun fall party punch! Oh, I love it! I couldn’t wait to see this when I saw your title. My kids would have a blast with it, as well. The first HP came out when my oldest was really young, and we went to see every movie together…it became tradition! And of course, the younger ones enjoyed them too when they a bit older. We even stood in lines at midnight to get books on their release date. 🙂 Thanks for this, Marjory! It’s so nice to ‘meet’ you through Sunday Supper! What a fantastic beverage to celebrate fall! I have got to read those Harry Potter books! It’s a pleasure meeting you as well! What a fun Holiday Drink! I can’t wait to try this with the kids. you’ve got to be kidding me. And I mean that in the… “holy wow I need some of this stat!” way. I have never… had anything like this… and that HAS to change because with my love affair with pumpkin… yes, just yes. FABULOUS recipe! I never heard of pumpkin juice, but with cider and spices in it, it screams fall! Must try it. What a great drink for autumn! I have never heard of pumpkin juice, but all the flavors sound like they work well together. What a great, and unique, drink for fall! So, as a giant Potterhead, I love this! And I haven’t been to WWOHP yet, which is just unbearable. How fun! And tasty =) I can see how this drink would work magic at a party and ignite a whole string of lively conversation. I love it and your bottle you made is just adorable!!! Fun recipe!! What an interesting and fun drink. Cheers to fall! I wasn’t sure to think when reading the title of your blog post, but this pumpkin juice actually sounds amazing!!! Thanks for a yummy autumn drink idea! I’m with Stacy, it sounds like it would be fantastic as a hot drink! What a cool drink idea! hahaha I bet that is so good! This is so fun! I love Harry Potter, and it sounds delicious! Love the Harry Potter reference! (Andy, by the way, your puppy is adorable.) I’m going to be keeping an eye out for pear nectar so we can make this! WOW! 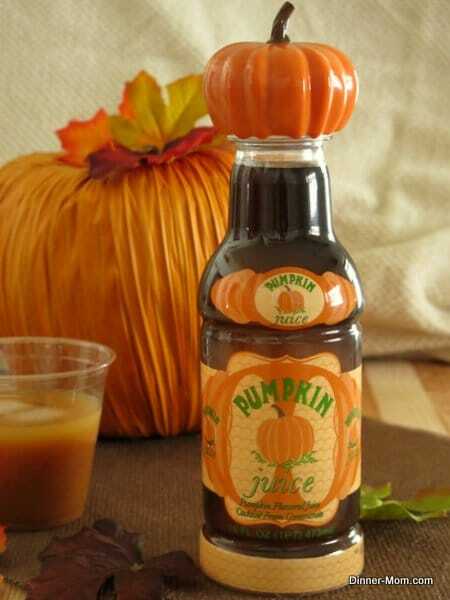 i didn’t know what to expect when I saw pumpkin juice but that sounds amazing! Wow! I’ve never heard of pumpkin juice before, but your recipe looks fantastic! Thanks for sharing! I’ve never heard of pumpkin juice! After reading your recipe, I’m feeling awfully parched – this sounds delicious! You may be interested in knowing the origin of the food.com recipe. It was borrowed, word for word including directions and quotes, from http://www.partythroughtheparks.com. Great website with tons of theme park recipes. Hi! Thanks for your comment. 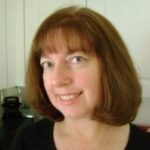 I enjoyed looking through your site and added a link to your recipe to the post. We had passes to universal studios last year and the line for pumpkin juice was so long! I would rather make it at home 🙂 I was telling my kids about this today, it sounds great. I’m going to make it for them! Does the recipe use Apple Pie Spice? Or Pumpkin Pie Spice? It calls for apple pie spice, but I think it would taste good with pumpkin spice too! Just wanted to let you know that everyone loved this recipe at a Harry Potter-themed birthday party we just had. Thanks for the recipe! I work at the YMCA on weekends and made it on Saturday with the pear nectar and on Sunday with peach nectar, that’s all I could find. Both were a big hit with 99% of the patrons!